You can transform the look of your Kent home by adding bow and bay windows installed by First Glaze. With a wide range of styles and designs to choose from, they are the perfect choice for homeowners in Rochester, Maidstone, Sittingbourne, Chatham, Lenham, Ashford and the surrounding areas. First Glaze supply and fit beautiful bow and bay windows that come with a great range of features and benefits. These include increased thermal efficiency, security, weatherproofing as well as aesthetic. Your Kent home will be enhanced or transformed with expert installed double glazing solutions. A bow window is a curved style window that provides more space and is most commonly found at the front of a property. They provide excellent views of the outside and are traditionally made up of 3 or more casement windows that are placed on a flat wall. They are created in a semicircle configuration with a canopy above which results in an elegant and refined finish that suits any Kent property type. Whether you own something more traditional or something more contemporary, the bow window can add a stylish and sophisticated element to your home. The bay window has an outward projection adding more floor space into the room it is installed into. This maximises your living space and allows for brilliant views of the outside. You will benefit from increased natural light entering the room, creating a light and airy atmosphere. A bay window is constructed of 3 to 6 uPVC casement windows, depending on the space you have available and what will best suit the front of your Kent property. The bay window adds dimension as well as giving the illusion of more space. First Glaze provides bow and bay windows that will enhance or transform your Kent property. Manufactured by market leading experts Liniar, our bow and bay windows can complement any property type. Some of the features of our bow and bay windows include adding thermal efficiency to your Kent home. With exceptional insulation, our double glazing products work hard to retain the heat in your home instead of letting it escape into the atmosphere. This results in your home being warmer for longer, which is especially useful in the colder months. Each of our bow and bay windows is made from lead-free, energy efficient, recyclable uPVC making them an eco-friendly and sustainable choice. You will be pleased to know that you’re contributing to a greener environment by choosing our bow and bay windows. In the warmer months, you can open your bow and bay windows for extra ventilation to add a natural and regular air flow to your Kent home. You’ll enjoy how easy they are to use and to operate. Another benefit of our bow and bay windows is that they can be tailored to your specific needs and requirements. You can select the size, dimensions, glazing type, number of panels, colour, finish and more. This way you can create a unique solution that is bespoke to your Kent home. Our bow and bay windows are available in stunning neutral shades such as Mahogany, Rosewood, Golden Oak and White or if you’re looking for your bow and bay windows to stand out there are more vibrant shades such as Chartwell Green, Cream and Irish Oak. Our bow and bay windows are not susceptible to rotting, warping or contracting which makes them an incredibly low maintenance option. You won’t be spending time or money on their upkeep as they do not require repainting or re-staining over time. Your bow and bay windows are covered by a 10 year guarantee against warping, splitting or cracking so that you’ll have peace of mind about the longevity of your new windows lifespan. Not only that but we guarantee that the foils are colour-lasting, meaning your bow and bay windows hold their colour for years to come. We offer competitively priced bow and bay windows in Rochester, Maidstone, Sittingbourne, Chatham, Lenham, Ashford and the surrounding areas. We think that all homeowners should be able to benefit from exceptional window solutions such as ours. We have a friendly and expert team that can answer any questions you may have. Simply get in touch today to find out more about our bow and bay window systems. 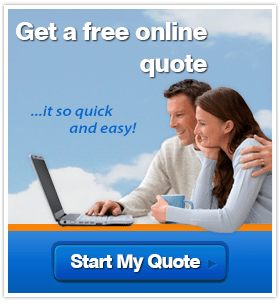 Alternatively, you can get a free quote for your exact needs and requirements. 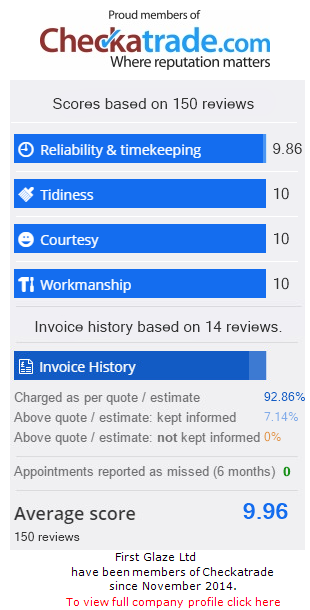 We can advise and recommend on the best solution for your Kent home as we have a wealth of knowledge when it comes to the home improvement industry. We use our years of industry knowledge to create brilliant projects that have the ultimate result.